On Saturday night of the IndyCar Classic, international rock superstars MUSE bring their electrifying live show to COTA's Austin360 Amphitheater. 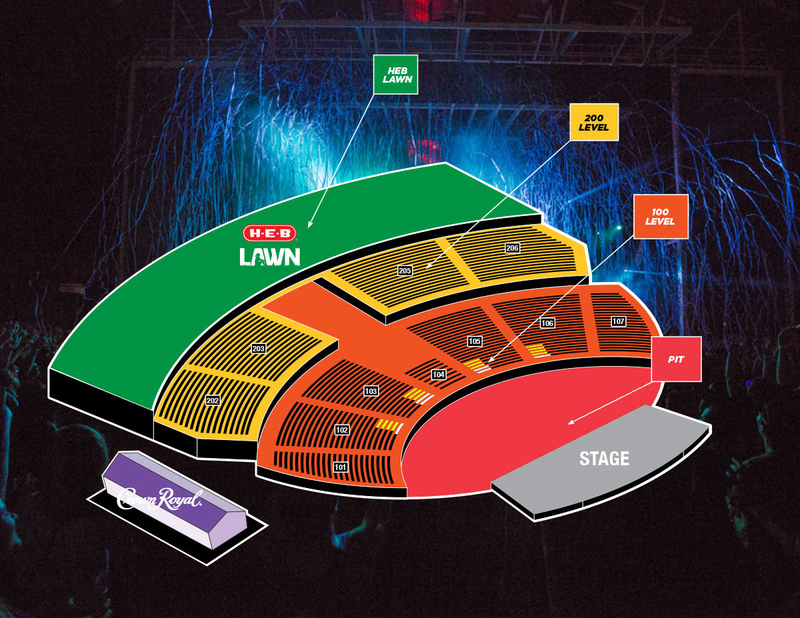 All holders of a 3-day ticket for the IndyCar Classic receive general admission to the H-E-B Lawn and 200 level seating for the show. Optional Pit and 100 Level upgrades are also available to get you closer to the band for maximum hysteria. PLEASE NOTE: ONLINE ADVANCE SALES FOR SATURDAY HAVE ENDED. TICKETS ARE AVAILABLE IN-PERSON AT THE COTA BOX OFFICE. Austin360 Amphitheater, winner of Pollstar’s “Best New Major Concert Venue” award for 2013, is Austin’s premier destination to see the brightest stars in a world-class, open-air amphitheater. The venue is located directly in the center of COTA's Grand Plaza and features a spacious lawn perfect for enjoying unforgettable performances under the stars with family and friends. The amphitheater also boasts the largest permanent stage in Central Texas and has hosted some of the biggest names in the entertainment industry, including: Foo Fighters, Slayer, Kendrick Lamar, Jimmy Buffett, Imagine Dragons, Willie Nelson, Janet Jackson, Dave Matthews Band, KISS, Nine Inch Nails, Kanye West, Depeche Mode, Green Day, Mumford & Sons, Van Halen, Drake, Florence + The Machine, Maroon 5, Blake Shelton, and Drake. When will the concert take place? The night of Saturday, March 23. 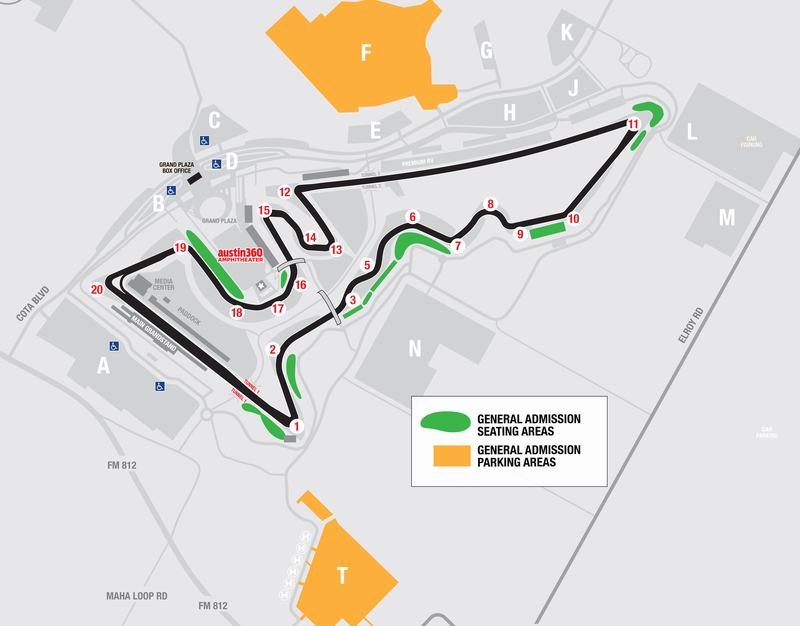 COTA will open the gates to Austin360 Amphitheater approximately an hour after track activity ends on the second day of the IndyCar Classic for fans to find a perfect spot to enjoy the show. Are tickets for just the concert available? No. Muse's performance is part of the IndyCar Classic, and race admission is all you need to access the show. The most affordable option for guests who only wish to partake in the Muse performance is the Saturday-only General Admission ticket. This ticket will get you into the entire day's worth of INDYCAR action as well as that night's MUSE performance. Are there seats available or is it general admission? All holders of a Saturday-only or 3-Day IndyCar Classic ticket receive general admission to the H-E-B Lawn and 200 Level of seating on a first come, first served basis. For those who don't wish to stand for the show, lawn chairs and blankets are permitted on the H-E-B Lawn. If you'd like to be closer to MUSE, limited concert upgrades in the Pit (standing room only) and 100 Level are available for purchase. 100 Level Upgrades will receive a dedicated seat in our closest seated sections. Is Austin360 Amphitheater ADA compliant? You bet. COTA staff will work with you to make sure your needs are met. For questions before the event weekend, the COTA Guest Services team overseeing ADA operations can be contacted at ada@thecircuit.com or by phone at 512-301-6600, extension 0.